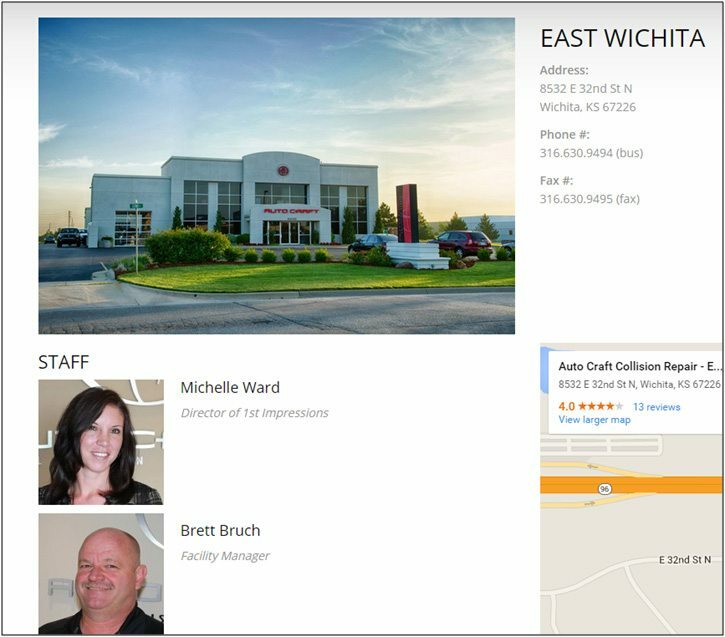 SEO Agency | How to rank well on Google | Wichita, KS. SEO takes commitment, teamwork, and patience, and the best part is, it pays huge dividends. Business owners who have been told that Matthew Rupp Consulting can help them but aren’t sure how. This list outlines all the areas that my team and I can attack to literally turn your website into a lead-generating machine. Business owners who want more results from their website (and have loads of free time). So, just what is Search Engine Optimization (SEO) and why should you care? SEO is all about increasing the chances that your website returns high on Google’s search results when someone searches for terms related to your industry. Who will this help? This guide is designed for businesses with a physical location who rely on customers within 25 to 50 miles of their businesses. Effective SEO consists of showing Google (and the world) why you are the absolute BEST choice when it comes to your particular skill or craft. Chapter 11: Build Your List! Let me guess, your first thought was, “Whoa, that’s a LOT of ground to cover. I thought this was about dominating Google.” It is, trust me. A huge mistake I see all the time, especially with service businesses that serve their local markets, is their biggest opportunities have very little to do with ‘traditional SEO’ (keyword research, keyword-rich content, link-building or optimizing) Their biggest opportunity is the ‘WORK’ leading up to SEO. 60% of them leave shortly after landing on your site? There is no ‘Call To Action’ to lead them to take a specific action? The content is generic and doesn’t speak to your target audience? The purpose behind this guide is to help you understand the basics, from the ground up, of what you need to truly succeed in your local area and turn your website into a lead-generating machine. We spend a huge percentage of our time cleaning up duplicate profiles, trying to get back into sites that haven’t been accessedin a long time, cleaning up links that never should have been built in the first place – basically the result of messy, haphazard SEO. If you are going to get serious about ranking and getting results, the more organized you are, the better! Address – It’s important this is written the exact same way. Pay attention to things like ‘street’ vs ‘st’. Images – Don’t have any? Take some! Use your phone. Borrow a nice camera. Hire somebdy. Do it yourself. It’s important. 2-3 videos – If you want to succeed online you need helpful, useful pictures and video. Dropbox or Google Drive is another great option to consider for keeping everything in one place. A site audit is simply the process of looking at your website from every angle and uncovering all of the opportunities and issues that are holding back your site. The list of items you identify could make a huge difference in your rankings and traffic. Doing smart, thorough competition research can be invaluable for local SEO. This research allows you to see what is working in your market, who is stronger in specific areas, and what you can do to improve and hopefully to rank better than your competitors. Like link-building and several other areas on this guide, this is just an overview. Competition research, especially for very competitive niches, can get super involved. I encourage you to put all this information into an Excel spreadsheet and document as much of it as possible. It can be very eye-opening to see your progress over three to six months and which competitors are moving up (or down) in the rankings. 1) Identify your competition online. When we do competition research for our clients, I like to search for our clients’ industries in completely different states that rank well in big, tough markets (such as Atlanta, Dallas, or Miami). I throw them into the mix just so we can see where competitors in other states are getting links,citations, and what they are doing well on their sites. 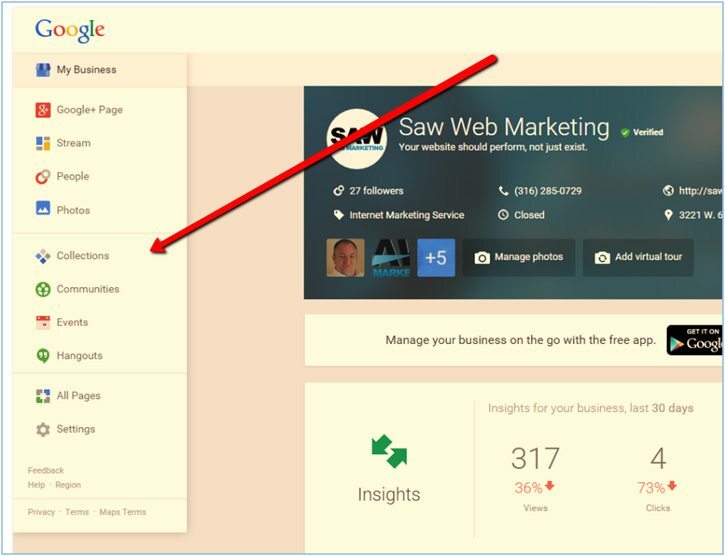 2) Find out who is linking to your competition. If there is an image, a word, or a line of text on a website that directs a person to YOUR website – that is a link to your site. Links boost rankings and traffic. A huge factor in how Google ranks websites is their link profile, so next you want to identify all the links currently pointing to your competitors’ websites. This can be very interesting and helpful information. (Are they spam links? Any local links? Content related?) It’s like sifting for gold – you will have to dig through a lot of dirt,but occasionally you will stumble across a GREAT linking opportunity just there for the taking! 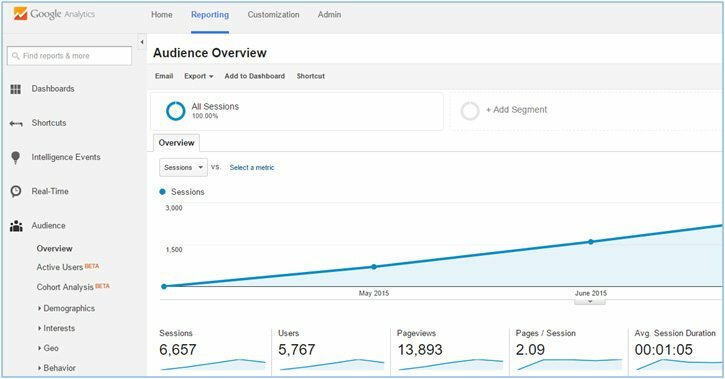 Moz and Ahrefs are our favorite tools for competition research. Links from relevant, authoritative sources act as votes of confidence to Google. ‘Good’ links are a huge factor in how well your website will rank. 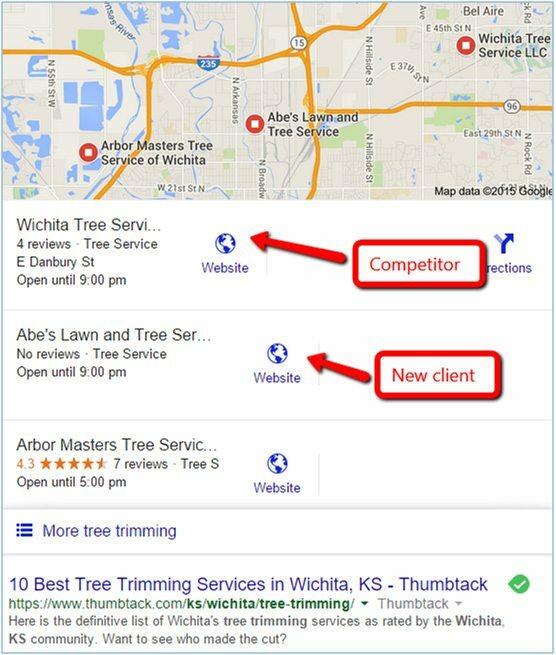 In our example above,‘Wichita Tree Service’ is a competitor of our new client,‘Abe’s Lawn and Tree Service’ in Wichita, KS. We were able to find out that the #1 spot on Google has ONE link from ONE domain and a domain authority of only 19 – this is a niche in which it will not be hard to produce results! 3) Where is your competition strong? SEMRush is a fabulous tool to see where your competition is strong, the keywords from which they are getting traffic, and how they are ranking. Citations are simply any reference of your business’s NAP (name, address, phone number) on the Internet. Often, but not always, this provides a link back to your site. It can be very helpful to see how many citations your business has (and how many inconsistencies) compared to your competition. BrightLocal is a great tool for this; we also use Moz frequently. The last, but certainly not least, area of competition research is online reviews. These reviews are extremely important — not just for your traffic and rankings, but for how much weight they carry with your potential customers. We devote an entire section of this Guide in Chapter 24 to explaining how to gather reviews and put them to work for you. For now just document the number of reviews your competition has and from where they originate. 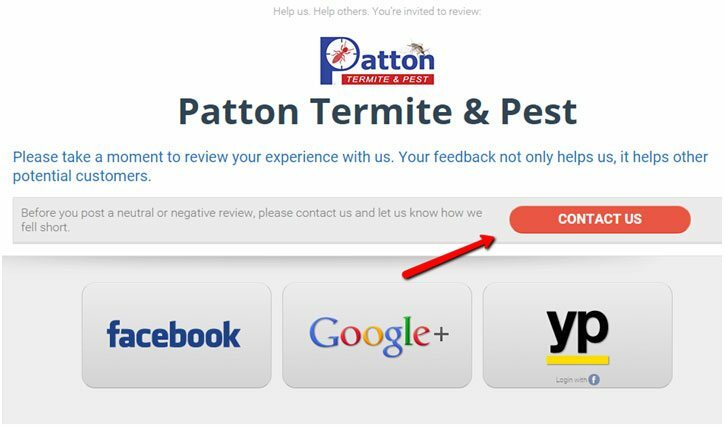 Can you find anything on your competitors’ websites that indicates how they are collecting reviews? By now you should be nice and organized and have images, descriptions and details about your business in one place. A list of issues that need addressed with your website currently. Have a good idea who is ranking well for what keywords in your area and probably some good clues as to why. Congrats! You are off to a great start! The web has thousands of articles on the subject of determining your audience demographic, so I won’t dwell on it long. The only reason I mention target audience initially is because the failure to focus on the target audience is probably the biggest missed opportunity I see when working with clients. If you only have a surface level understanding of your target audience, then content, marketing materials, blog posts, and social media posts – basically everything you do online – will be aimed at an unnecessarily broad audience. Do you know who your audience is? If you don’t, hopefully the links below are helpful. The more you can narrow down and truly understand your target audience, the easier it will be to create super-focused messages that really speak to your visitors. What separates your business from the ‘other guys’? The key to effective selling is what marketing professionals call a ‘unique selling proposition’or USP. If you can pinpoint what makes your business unique it’s much easier to target your efforts, both online and offline. If you haven’t already spent time on this, I challenge you to do so. There is real power in identifying specifically what your business is GOOD at doing. By taking this stand, you can become known for that unique quality and stand out from the crowd. Keyword research can be very tedious, but it is a critical part of any online strategy. b) Not so much competition that ranking for them would be extremely difficult. I will use a former client, a spine surgeon, as an example. 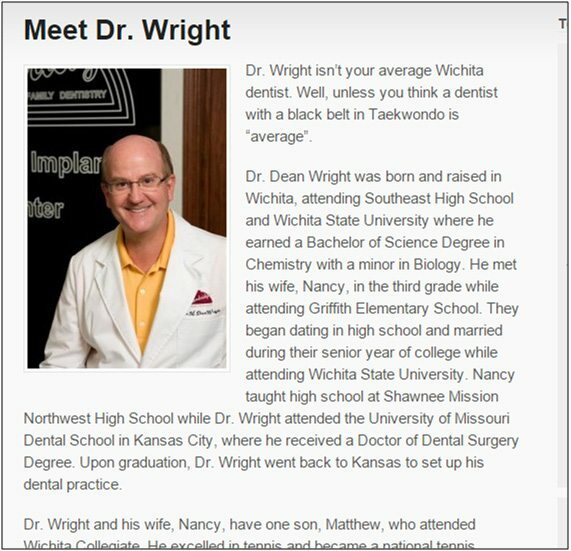 Like most clients he wanted to rank for his ‘primary’ keywords related to his industry – ‘spine surgery’ or ‘back surgery.’ (Depending on the client’s industry, that primary keyword could be ‘landscaping,’‘pools,’‘auto repair,’‘exterminator’ etc.). ‘spine surgery’ gets an incredible 165,000 searches a month and it has 647 sites with a combined 15,330,000 pages competing for that same keyword. Imagine trying to compete against 15 million pages, many of which are incredibly strong. ‘Back surgery’ also gets approximately 165,000 searches a month and has 661 websites and a combined 5 million pages all competing for these specific keywords. Obviously, this is not a mountain we want to climb; this is where the power of good keyword research comes into play. ‘Sciatic nerve exercises’ gets 22,000 searches a month (which is very respectable) with only 330 pages competing for it; most of those pages are relatively weak. ‘Scoliosis in adults’ receives 6,600 searches a month with only 310 competing sites. ‘Spinal stenosis exercises’ gets 4,400 searches a month with only 240 competing sites. 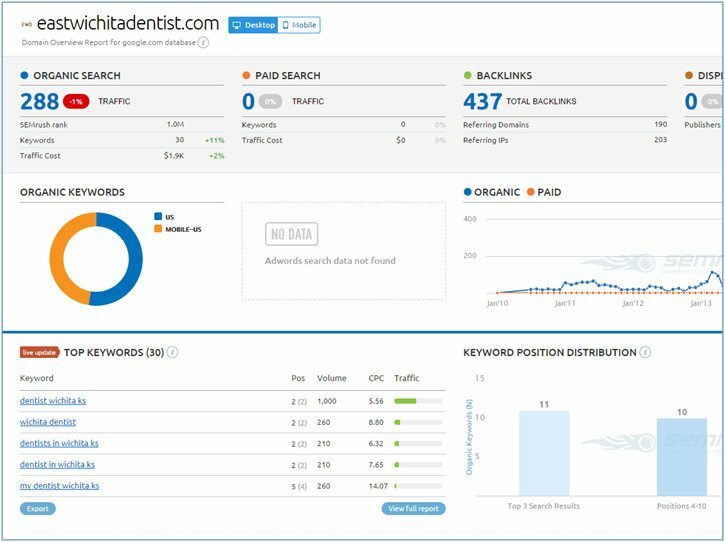 Those are three excellent sets of keywords for this client that receive a combined 33k searches a month with low competition. I have helped clients triple and quadruple their web traffic and results without ever having to rank #1 for their highest value keywords. Which is great, because it allows you to fly below the radar; your competition has no idea how much your website is growing your business! The definitive guide to keyword research Brian Dean is a rockstar in the SEO world. I am a big fan! What can you share with your target audience that they would GENUINELY find valuable? I encourage you to stop and really think about it. Perhaps it is an article or how-to piece that you have written yourself. Perhaps it is a list of resources and opinions of industry leaders. Perhaps it is step-by-step instructions on how to put a fountain in yourself, if you run a landscaping business, or how to spot-treat paint on a car, if you own a body shop. I can’t overstate the importance of sharing your specific brand of wisdom with your target audience;it is the foundation of building trust, getting real results from your website,and drawing in more subscribers. Plan to dig deep here;the deeper you dig, the more it will pay off. You want to create something so damn good that your prospective customers won’t even be done readingand they’ll already be bookmarking, printing, or saving what you created. For example, if you run a party rental business, there is a good chance that mothers (mothers would be your target audience in this case) visiting your site would be interested in an informative article on ‘39 slumber party ideas to help you throw the best sleepover ever’. These potential clients are extending a small bit of trust by exchanging their email address for the opportunity to read the article. Their trust is fragile, and you need to build on it by giving them something TRULY GREAT. The world has changed and marketing changed with it. Forever. If the Call To Action on my website offers this awesome guide to dominating Google in exchange for my visitors email address and they get something thin they could have gotten from a dozen different sources I took that delicate piece of trust and destroyed it. It’s gone, forever. But when they exchange their email address and get something truly high quality that they really see real value in, that’s a different story. Now when they get an email or offer from me the chances I get their attention is much higher. a) The boost to your traffic when your piece of content is shared, linked back to or commented on. b) Gain subscribers that, if you keep providing real value to, a small percentage of will become customers. Dig deep. Make something worthwhile. You will be glad you did. Still with me? Rock on! Now you have a better idea who you need to target, which keywords are great to target, and (hopefully) you created something your audience will see REAL value in! You now have a wonderful foundation to build on! There’s no getting around it: Creating remarkable content that your target audience will see real value in is the backbone of a successful online strategy. It is possible to produce great rankings and traffic for your website without great content, but the entire journey will be uphill. What makes content epic? The impact it has on the reader. When you put great content in front of your target audience, you get their attention. Attention leads to shares, comments, and backlinks. What kind of content do you need to start creating? That’s simple. What would your target audience find genuinely valuable? The more helpful you are with the content you create, the more you can establish yourself as someone who genuinely caresand knows what you are talking about! Skip the cookie-cutter blog posts! What ties does your business have to your local community? Where did your team go to high school or college? What local charities do you support? What local organizations are you involved with? What local events does your business take part in? It’s important if you want to rank strong in your local area that you show a genuine, authentic link to your local community. Make sure there is no duplicate content on your site. I see the problem of duplicate content frequently, especially with new websites. Generally, the client has no idea that whoever ‘created’ content or built their website just stole cookie cutter text from a different website. Google has said repeatedly that duplicate content can hurt rankings and may even cause your site to be removed from Google altogether. Duplicate content is much more common than you might imagine. I ran a test once to see if any of the content on my site was being used anywhere else. Shockingly, I found an Internet marketing company in Oregon was using ALL of the content on my website! Additionally, since Google has now separated its Google+ links from its Google Business pages, you will want to visit https://plus.google.com to ensure there is no duplicate material on Google+. Hiring a writer for your blog – Of all the courses and classes and ‘programs’ I have ever bought into, what David Risley offers is truly one of the best. David is a real pro and gives more genuine, honest-to-goodness value (when it comes to blogging) than anybody I know online. One of the biggest mistakes I see from business owners is that they want to rank high on Google, but their website has very few (if any at all) of the things it needs to rank well. If you want your website to help grow your business, bring in leads, and makemoney, SEO can make that a reality– yet SEO needs to be the focus AFTER your website ‘deserves’ to be #1. SEO is much easier, much more effective and takes much less time and MONEY if your website‘deserves’ to be #1 on Google. I have broken my website suggestions into 4 sections. Take and choose what works for you. Does it have genuine, helpful text to which your target audience will relate? Is there ‘social proof’ or real testimonials? Are there engaging images that relate to your business? Is the navigation simple and easy to understand? Are you speaking to your visitors’ needs and showing you can solve their problems? Is it easy to contact you and is there a clear call to action (on every page)? Does your ABOUT page have a ‘story’and pictures of actual employees who look like they will care about the needs of your customers? ‘REAL’content written by an actualperson who cares about the business and its customers. Create a page for each specific service you offer. Make sure your homepage mentions your specific services. Describe and link out to qualifications, certifications, etc. Consolidate or rework all crappy blog posts. Add links to sites where customers have reviewed you. 2) Four questions that your website needs to answer. Websites only need a few items to be effective and produce results. People don’t buy credentials. They buy what you can do for them. Talk to readers about themselves. Tell them enough that it is evident that you are qualified, and thenput the bulk of your efforts into showing people they are dealing with a real person to whom they can relate – a person who cares andcanhelp. Without trust, your website is worthless. Everyone is skeptical. Show testimonials of case studies or somehow demonstrate thatyou can helpin a way that makes your message credible. 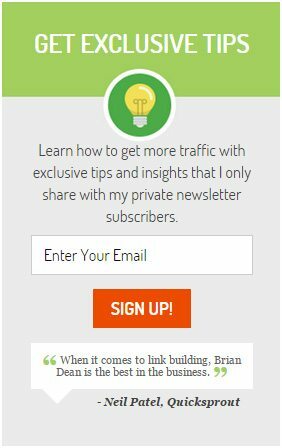 If I could give you just one piece of advice it would be this: Start building your subscriber list today! One of the biggest things I preach to all my clients is the importance of their ABOUT page. Almost without fail, the ABOUT page is the most visited page for all my clients. It’s always shocking to see. Visitors to your website want to know they are dealing with actual people who believe in what they are doing and who stand behind their work. I am a big fan of a tool called Crazy Egg. It allows you to see an actual heat map from all our clients’ sites. It’s not uncommon for the client to like one part of their site and I like another and for both of us to be wrong as to what resonates with their visitors the most. In this case, the customer is certainly right. The great thing about the Crazy Egg tool is that it allows you to serve up more of what the visitor wants and remove what they aren’t interested in. No ‘About’ page would be complete with ‘telling a story’. This is so important. How did the business start? Who started it? When? What were key milestones for the business? Who runs it today? The more you can authentically tell the story of the business, with heart, the better off you will be. By the way, here is mine – Matthew Rupp Consulting About page. 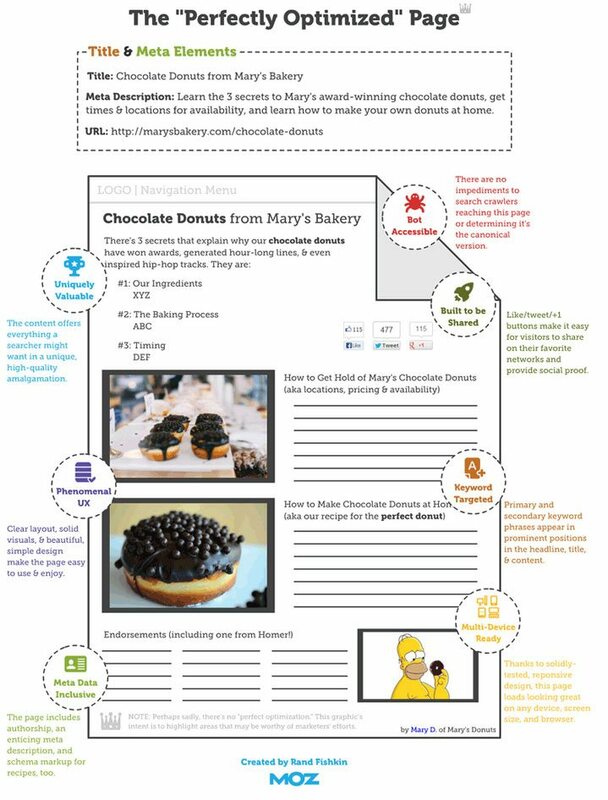 4) Twelve pages to consider adding to your website if you are serious about driving local traffic to your site. Fewer pages on your website means there is less chance Google will see your site as the best possible answer to inquiries related to your business. If you did Chapter 7, ‘Create Something Great’, this is where you put that to work! You want to offer this awesome piece of content you created and offer it, for free, to anybody who is willing to exchange their email address for it. 1) Be clear and concise and make your offer compelling. 2) Repeat the offer more than onceand don’t have competing calls to action. 3) Don’t use boring, dry stock art in your CTA. 4) Communicate a sense of urgency and reason to act now! Hopefully this is all starting to make sense now. You don’t need thousands, or even hundreds of visitors, a month to your website if you start out with a solid plan. If you made it this far, you are ahead of 90% of your competitors! 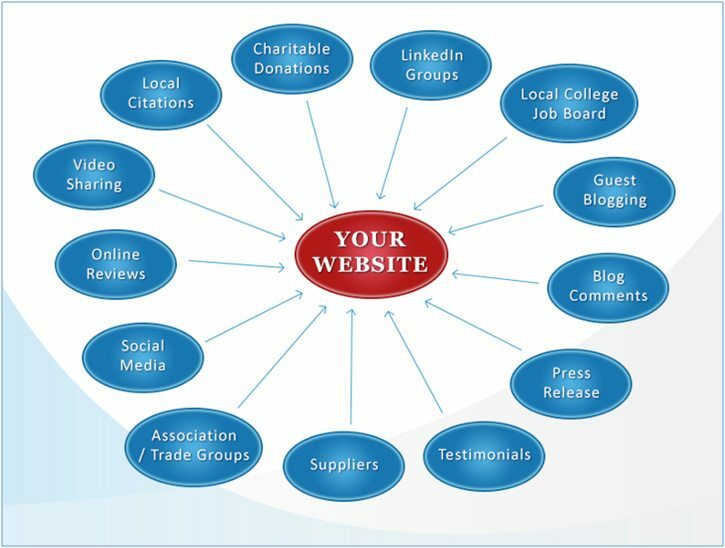 – You are organized and know the strengths and weaknesses of your site (and your competition). – You created an epic piece of content your visitors will see value in, and you have a website that communicates what you do and why you are the best choice. – You have a Call To Action. Just a couple more steps and then we move onto the SEO side of things. By the time we get there, you will be ready to crush your competition! Start building your list today. If I had to point to the single biggest missed opportunity that I see with new clients, it would be when business owners do not get serious about building their ‘list’of subscribers. Your subscriber list is the one thing you own that Google or Facebook doesn’t control and can’t take from you. There really is no excuse for not doing this. Permission Marketing is changing the face of marketing. More and more, consumers are in the driver’s seat. Instead of being bombarded and brainwashed by ads, consumers are able to choose who may market to them. Your challenge is to not treat your list as a sales tool. This is an OPPORTUNITY for you – to build trust, to provide value, to be seen as a valuable resource in your customers’ eyes. 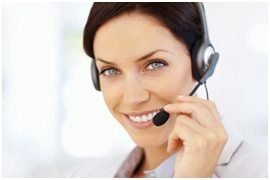 That way, when they have a need in your area of expertise, there is no question who they call first. We use Aweber; I love this tool and recommend it to all my clients. You can easily integrate Aweber into your site and set up a series of messages to go out automatically for holiday or seasonal specials, etc. The cost is very minimal, and the benefits of building your list are immense. Aweber comes with a free trial and then is only $19 a month for 500 subscribers or less! Boring, dry, cookie-cutter stock images will turn off visitors to your website faster than anything.With the fantastic cameras now on smart phones, there is no excuse for poor photos on any website.Uploading interesting, vibrant photos is so easy that it’s amazing how often it is overlooked! If you have crap photos like this on your site, get them off today! Visitors to your website are looking for authenticity. They are looking for actual people who offer products and services they can trust – what better way to communicate that trust than with accurate and honest photos? It’s important to realize Google can’t ‘see’ your images. They count on the ALT TAG (which is the image description) to know what the image is. This is an excellent opportunity to relate your image to the keywords for which you want to rank. Pinterest and a variety of other sites make it easy to pin and share images; this is an excellent link building opportunity! Engagement is becoming an increasingly important factor when it comes to SEO, and many experts expect that importance will only strengthen with time. How many pages do they look at? Do visitors visit and quickly leave without clicking anything? These are all signals to Google that your visitors are interested (or not) and have found what they are truly searching for by visiting your site. The great news is if you spent some time creating (or having it created for you) content that will resonate with your target audience, you created something great to offer them in exchange for their email address, compelling images and a great ‘about’ page, you have all the pieces to really crush it in this area! This was a long road getting here but trust me, it will be worth it. I have been involved in dozens of SEO projects, I have compared notes and worked with a lot of smart people and I can tell you this beyond a shadow of a doubt – SEO is much easier when you are starting from a position of strength. That’s what all the previous steps have been about. Building a strong foundation. Now it’s time to build on that foundation and start leapfrogging over your competition on Google! On April 21, 2015, Google rolled out an update that boosts the rankings of mobile-friendly pages on mobile search results. This update allows searchers to find high quality and relevant results where text is readable without tapping or zooming. This is a big deal! Especially when Google announced less than a month later that in 10 countries (including the United States and Japan), more searches take place on mobile devices than on computers. (If you didn’t “pass,” give us a shout. We can help you). Optimize the pages of your website. This page is a classic, and I love it. This is just a ‘guide,’not a hard and fast rule. Of course, your readers are always the top priority, not the search engines. Title tags are arguably the most important piece of on-page SEO. If you look at the Google starter guide to understanding SEO it’s literally the first item mentioned. The title tag is meant to be an accurate and concise description of the page in question. 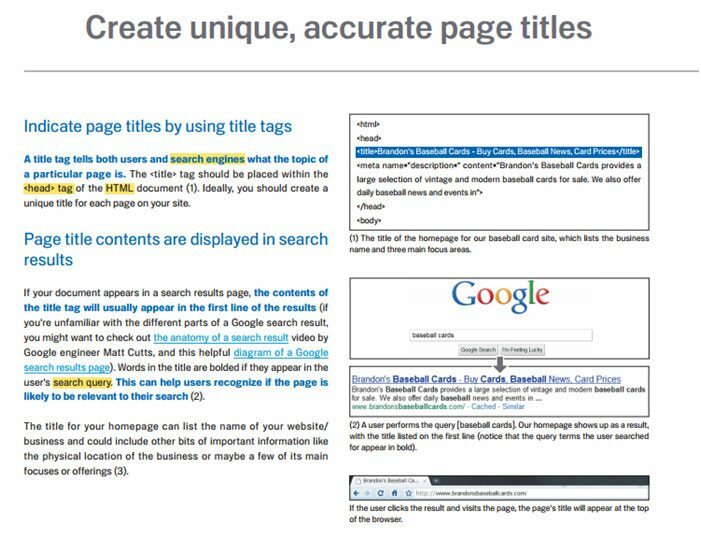 This is your chance to tell Google what this page is ‘about.’ A great title tag – backed up by relevant images, content, and links centering around the same keyword – is the foundation for any great SEO campaign. There are many rules on how to write great Title Tags. You want to make sure they are well written and optimized around the keyword for which you want to rank. The city or market should be next. Then, the brand name — if there is room. You should never mention the same city name twice. Title tags aren’t the place for keyword stuffing. Several years ago, Meta descriptions were a factor in your site’s rankings. After they were abused and stuffed with keywords, Google stopped using them as a ranking factor.That doesn’t mean, however, that they have lost all importance. The Metadescription lets potential visitors to your site know they are about to click on the right page. This is your chance to entice and invite them in! The technical aspect of your website is another very important area to focus on when you are on your way to dominating Google. The technical focus is all about making sure Google can crawl all the pages of your site and that Google understands who you are and for what you want to rank. This is a quick and easy task that you can do yourself. First, figure out how many pages your site contains. This shows you how many pages Google hasin their index for your site. If the numbers aren’t really close, you have a problem and need some SEO help. Schema markup is a way for search engines to interpret the information on your website more effectively. This is a collaborative effort between Bing, Google, Yahoo, and Yandex (a Russian search engine). Search engines are remarkably good at some things, but exceptionally dumbat others. For example, they have a very hard time with times and dates due to the many ways they can be formatted, whether the event took place in the past or is scheduled to occur in the future. By inserting a small piece of code, for example, a starttime or a datetime, any ambiguity is eliminated. By including schema microdata in the code of your website, you make it easier for search engines to interpret the content of your pages. This, in turn, can increase your visibility. Since 2010, Google has talked about site speed being a ranking factor. In this day and age, you can’t afford to have your website load super slowly. It’s also important to test your site and make sure it loads quickly. 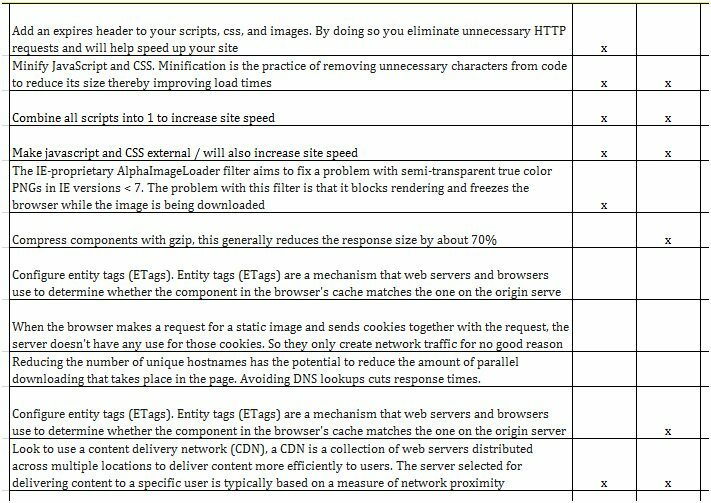 There is a long list of items that can slow down your website depending on the platform it was built in. A good developer can do wonders when it comes to making your site blazing fast! 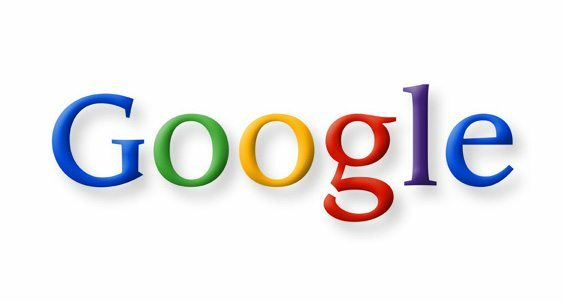 To the delight of many in the SEO world, Google rolled out a new platform called ‘Google My Business’ on June 11, 2014. This platform allows business owners to log in and claim locations, edit info, and upload photos. a) Your address – Must matches the address on your website to the T.
I get it. You are busy and don’t have time for Google+. (I don’t blame you and I have heard this from every client I have ever had!) Trust me, it’s important. This is a golden opportunity for you when it comes to ranking high on Google locally. The more you can visit these pages and give Google what it’s asking for, the better off you will be! Seriously, if you take nothing else from this guide, don’t skip this one. You always want to be sure the profile for your business is as complete and accurate as possible. Make sure the category of your business is listed correctly. Don’t base your business on the services you offer, but rather on the Google category under which it falls. Furthermore, include at least a 150-word description of your business which includes keywords that link to your website. Remember, Google loves accuracy, so if the name of your business is spelled differently on multiple websites, Google won’t trust it. You will not rank as high on Google searches. 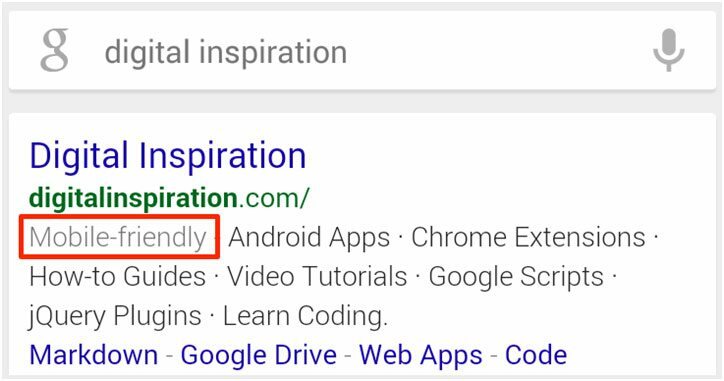 Additional words added to the title of your businesses, even descriptor words, can now hurt your Google rankings. 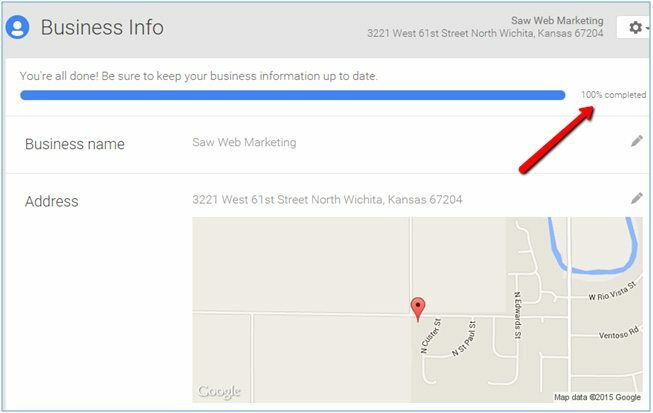 As of August 2015, Google+ links have been removed from Google’s My Business information. Therefore, you need to make sure that you go back into your My Business platform and add any links or additional information that will no longer be accessible through the Google+ links. Citations are mentions of your business name and address on other websites – even if there is no link to your website. You want every possible listing online to have the exact same NAP. This is critical to SEO, and especially local SEO. I can’t tell you how many times we have worked with a client or did a site audit and found dozens of missing, incomplete, inconsistent listings for a business. Name changes, address changes, business owners changes, wrong contact person, tracking number from the phone book from 5 years ago. Ranking high on Google is all about trust. Google trusting your business is the best possible resource for their users. When your business has dozens of inconsistent, incomplete and missing citations online that doesn’t inspire a great deal of trust. Before building citations or paying someone to build citations for you, do a citation audit. That way, you can find any errors on your NAP and discover before you start building whether there are existing citations or you are starting out with a clean slate. Link Building is an incredibly diverse, dynamic, and critical piece of any SEO campaign. It has changed tremendously in just the last few years and continues to evolve just as quickly. A number of items that used to work just a year ago can get your site penalized; therefore, you have to be careful and work with someone who is ethical and knowledgeable. 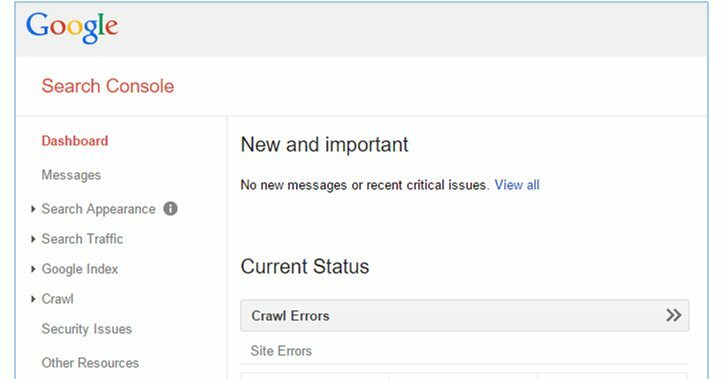 The days of getting thousands of low quality links and ranking #1 on Google are long gone! Quality means a GREAT DEAL more than quantity when it comes to link-building. A link from a relevant site is becoming increasingly important. Any good link building campaign should start with brainstorming and a little research. With whom do you do business who might be willing to link to you? What good customers might be willing to link to you? 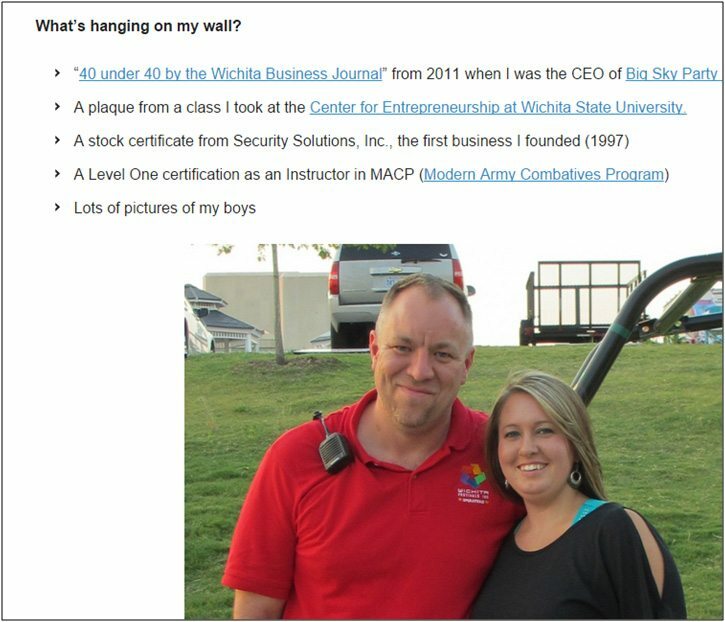 Are you a member of the BBB or Chamber of Commerce (these are excellent links). Are you in any industry associations? Are you part of any leads groups,Rotary,or any boards that might recognize their members? Link building needs to be integrated into the fabric of how the business operates to be the most successful. Do people approach you for a donation or to support a good cause? Ask for a link. It costs them nothing. 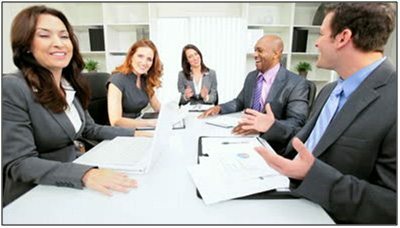 Think of groups in which either you are a member or pay for your employees to participate. Do they have a website and link back to the members? What can you add to your blog in which your target audience might find value and share with others? What kind of promotions or contests can you run that might garner shares and likes (links) using social media? I love starting all of our link-building campaigns for our clients by identifying all of the links of their competitors (in their market) and similar companies in other markets.We then explore those links for opportunities for our clients. This can be a goldmine! But competition research isn’t just limited to researching your competitor’s links. Study their reviews, citations, site traffic, etc. You can learn so much! 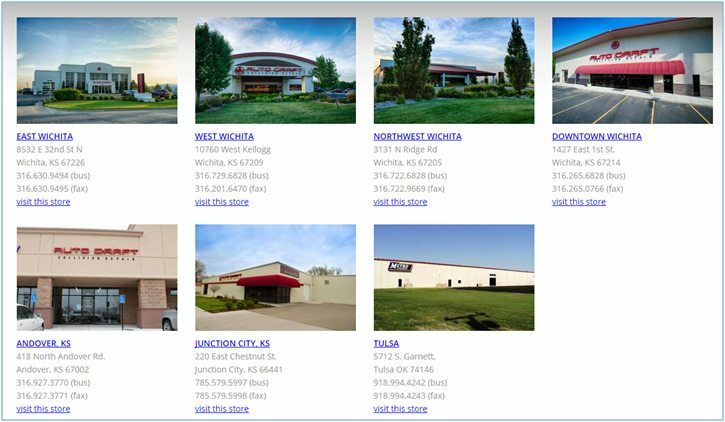 If your business has several locations, your SEO approach should be slightly different. The key is to treat each location as its own entity, without spreading your marketing efforts too thin. This does not mean separate websites for each location, but it does mean:1) separate Google+ pages;2) specific pages with unique content on your website for each location; and 3) link-building efforts that treat each of your “city pages” like its own website. These resources will show you exactly how to structure your website and manage your marketing plan across multiple locations. How can you be expected to come up with a keyword strategy when 20% of searches are created on the spot? This document is a great example of that. It’s huge, in depth, and detailed while also linking to relevant, high authority sources. Furthermore, if I promote it well and it earns some links, it will be a significant source of traffic to the Consulting website. Think about your business now. What kind of resource could you create (or have created for you) that would do the same? Google loves original, high-quality content that really digs into a topic. The average content length for an article that appears in the top 10 search results is over 2,000 words. Long articles are more likely to containthe random phrases that searchers are inventing and typing every day. Is it work? Yes. Does it pay off? YES. You have come so far! Hats off to you! I realize that I have said, “This is critical,” “This is a must,” and “This is SO important” about five times already, but if you have come this far and nailed down most of what has been discussed, you are head and shoulders above 90% of your competitors. “If you build it, they will come” does NOT apply to marketing online. Content promotion is absolutely key to succeeding. This category is what separates the ‘pretty successful’ from the truly successful online and puts you into an entirely new stratosphere when it comes to marketing online. There are tons of tools that automate content promotion and blast it out to blog networks, 100 different social media profiles, blog comments, and a dozen other spam sites. You have to be careful though. Like so many other things that ‘work,’ when it comes to ranking on Google, typically that tactic gets abused and Google finally pushes back like they did on September 2013 when they penalized guest blog networks. The tool we use for promoting the content (and automating several tasks we do) at Matthew Rupp Consulting is called Trello. 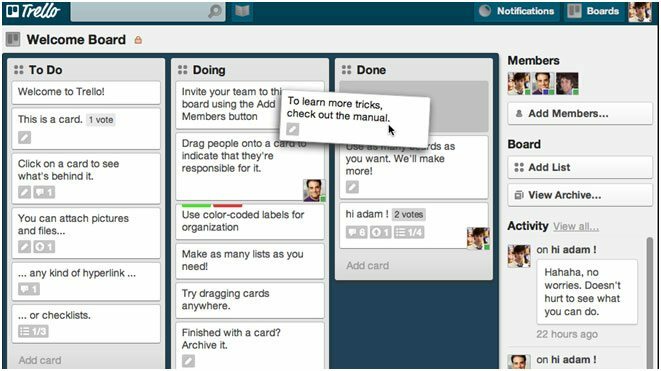 Trello is a great program you can use for many purposes. Imagine a board with lists of lists, filled with cards, used by you and your team. As you complete one task, you move that ‘card’ to the next ‘list’ and so on until the task is complete. Once I am finished, I move the ‘card’to the ‘first draft is complete / need feedback and suggestions.’ This alerts the writer on the team that her opinions are needed. Once I make any final changes, I move the ‘card’over to ‘Proofread,’ which my writer does (wonderfully). When she is done she moves the card to ‘Post to WordPress’ for my assistant to do and then it continues down the list until it is shared with my mailing list, a couple of forums on which I am active, my social media profiles,and my LinkedIn profile. The best online marketers today are very skilled at ‘repurposing’ their content. This is where you take the original content (blog post) and use it to make a slideshare presentation, a video for YouTube, (or other video sharing sites), an infographic, a press release, a podcast, and a pdf. This is how you get found ‘everywhere’ online. Which plumber would you trust the most? 87% of consumers say positive reviews online have reinforced their decision to purchase a product or service recommended to them. 80% of consumers say negative reviews online have made them change their mind about purchasing a product or service recommended to them. 82% of consumers considered user-generated reviews extremely valuable and helpful. There are no longer validexcusesfor not makingonline reviews a priority. Unfortunately, you can do an excellent job 199 times in a row and the one time someone on your team has a bad day or makes a mistake (or isn’t proactive about correcting the mistake immediately), the unfortunate customer who is waited on by the team member will be the customer who will leave a negative online review for the world to see. That is why it isso critical to make online reviewsa priority in your business! Make it easy for clients to leave feedback. Consider offering an incentive for positive reviews. Respond quickly and professionally to reviews that are less than glowing. We offer all our clientsa tool thatallows them to upload their customers’ email addresses and the customers then receive a series of emails inviting them to leave feedback about their experience. All the customer must do is clicka button. Then,he or she is directed to the appropriate site quickly and easily. If you are interested in a tool like this for your business, give us a shout. We would be happy to help. Google Analytics is your friend. It’s powerful and it’s free. How many visitors you are getting during anytime period. A comparison of different time periods. Where your visitors are located across the United States. What percentage of your traffic is coming from different sources (direct, organic, etc.). This tool should be step one for every new website that you need to produce results. Just like the (old) name pretty clearly stated, this is a free tool provided by Google for webmasters to go in and adjust many aspects of how Google sees your site, adjust how often Google crawls the site, see internal and incoming links, target a specific geographic area, crawl errors, site statistics, and much more. You can get started using this powerful, free tool here. Which would be fine if their website had ANY good content or at least a Call to Action. Social Media (like SEO) takes real commitment to do well. It’s about building relationships, providing value, helping others, and being genuine. In my opinion, if you aren’t willing to put in the time to determine your target audience demographic, the social media platforms they frequent, what they might find interesting and of value, and commit to making it a priority, you are wasting your time and money by focusing on Social Media. With that said, I have used Social Media to help grow my business and increase revenue. I did some research and found five to sixgroups,along the lines of Facebook and LinkedIn,in whichI was interested. I joined those groups, and I was genuine and sincere (and diligent) about providing real value. I shared good content, offered advice, and shared things about my business that might help others. I was never pushy or ‘salesy’ with anything I said. This has led to several ‘friendships,’ referral partners, and clients. The most surprising thing was that most of the clients gleaned from these social media groups were almost ALL in the Internet Marketing industry. There was no real ‘selling’ necessary; they already knew I was talented and had a pretty good idea what it was like to work with me. That’s how to use Social Media. Keys to using Social Media correctly. Be sure that the background or header of your social media profiles matches your brand. Pick a platform where your target audience spends its time. Don’t try to “do” social media on 6 to 10 different sites. If you are a business professional, a LinkedIn account is a must. LinkedIn is the largest professional network in the world and makes it easy for you to use your existing business connections to constantly make new connections. One of many of the great things about LinkedIn is that it allows you to compete with much larger and more well-established businesses. 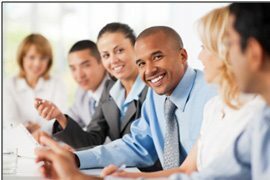 You and your team can establish yourselves as experts in your industry by engaging in informative and interesting dialogue and participating in groups and answers. I hope this guide was helpful and you were able to glean some helpful tips! Sign up here if you would like a (no-cost) consultation with me. I will take a look at your site and your competitor’s sites and be happy to offer you 15-20 minutes of my time to answer any questions and discuss how my team and I could help implement all 26 chapters of this guide for your business. More case studies abouthow these steps have helped grow my business (and my clients). Additional details about link-building and content promotion. Reviews of some of the tools we use here at Matthew Rupp Consulting. How to use Quora and Reddit to help grow your business. If you liked this guide and know a business owner who would benefit from reading it,please share! 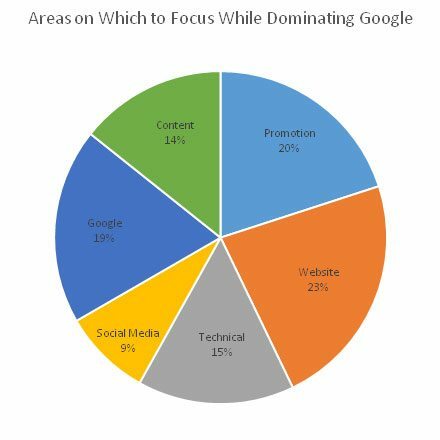 I help market leaders (who serve their local area) Dominate Google.